IF THAT SO THEN THIS IS THE RIGHT PLACE AND PACKAGE YOU WILL EVER NEED TO INSTALL VORTUALLY THE LATEST MAC OS X. A DETAILED STEP BY STEP GUIDE IS THERE ALONGWITH VIDEO FILE. WE HAVE ALSO INCLUDED FEW BEST MAC OS X – EL CAPITAN APPLICATIONS AND BOOKS IN HIGH QUALITY PDF FORMAT FOR FURTHER CULTIVATION. RAM: 4 GB+ [Please do not try installing MAC OS X if you have less than 4 GB RAM. The Virtual OS will simply crawl. Free Hard Disk: 40 GB for MAC OS X and another 2 GB for needful software. YOU DO NOT NEED TO HAVE 40 GB IN C:/ DRIVE. 2. Also the OS X 10.11 El Capitan Retail (VMWare virtual disk file with .vmdk extension) file size is 9.64 GB. THIS IS YOUR MAC OS X HARD DISK. WITH TIME WHEN YOU WILL UPDATE YOUR MAC OS X FROM VERSION 10.11 TO 10.11.5 (Latest as of June 2016) THIS FILE SIZE WILL INCREASE.ALSO WITH TIME IF YOU PLAN TO INSTALL MAC SOFTWARES THIS WILL GET LARGER AND LARGER UP TO 83 GB (MAXIMUM LIMIT). MAC OS Hard Disk without update to 10.11.5 & 4 GB virtual MAC RAM=25 GB will do. MAC OS Hard Disk with update to 10.11.5 & 4 GB virtual MAC RAM=30 GB will do. MAC OS Hard Disk with update to 10.11.5 & 4 GB virtual MAC RAM + Software > 40 GB needed. HOWEVER, THE MAC HARD DISKS LIMITATION IS 80 GB. IF YOU ARE NEWBIE TO MAC OS X THEN IT IS SAFER FOR YOU TO CHOOSE ONE OF YOUR WINDOWS PARTITION WHERE YOU CAN CREATE FOLDER/S OF ATLEAST 40 GB SIZE. PLEASE NOTE THAT THE CHOOSEN WINDOWS PARTITION WILL NOT BE DELETED OR FORMATED. NOTE THAT WE HAVE INCLUDED BOTH VMWARE WORKSATION 12 PRO & VMWARE WORKSTATION 12 PLAYER – THE NON-COMMERCIAL FREE VERSION OF VMWARE WORKSTATION PRO. THOUGH THE PRO VERSION IS MUCH MORE POWERFUL THAN THE PLAYER VERSION, IF YOUR OBJECTIVE IS ONLY TO VIRTUALIZE THE MAC OS X OPERATING SYSTEM – IT IS RECOMMENDED TO USE VMWARE WORKSTATION 12 PLAYER WHICH CONSUMES LESS SYSTEM MEMORY BUT YIELDS THE SAME RESULT FOR VIRTUALIZING MAC OS X – EL CAPITAN. VMWARE WORKSTATION 12 PRO IS REALLY A RAM CONSUMING SOFTWARE. UNLESS YOU HAVE PLENTY OF RAM FOR YOUR WINDOWS AND VIRTUAL MAC OS X IT IS RECOMMENDED TO GO FOR VMWARE WORKSTATION 12 PLAYER. THE CONFIGURATION IS SAME FOR BOTH THE PRO AND FREE VERSION. Now go to UEFI or Bios setup. Find for ‘INTEL VIRTUALIZATION TECHNOLOGY’ and Enable the option. Install VMware Workstation Pro 12.1.1 Build 3770994 as an Administrator. This is the latest version as of June 2016. Use any of the supplied ‘Key’ to register for a licensed copy. While installing you may or may not install ‘Enhanced Keyboard Driver’. This is up to you. Uncheck ‘Product Updates’ and ‘Help Improve VMware Workstation Pro’ options. Proceed. Click ‘License’ button at the end of installation. Copy any serial number from ‘Keys’ file and paste it in the required field. Use Ctrl+V method. PLEASE NOTE THAT THE SUPPLIED KEYS WILL NOT WORK FOR VMWARE WORKSTATION 12 PLAYER. IF YOU HAVE INSTALLED VMWARE PLAYER, USE THE SOFTWARE FOR PERSONAL USE. Click ‘Finish’ and now you are done. Before applying the VMWare Unlocker you may want to check whether the latest version of VMware Workstation Pro 12.1.1 Build 3770994 supports MAC OS X or not. Double click to open VMware Workstation Pro 12.1.1 Build 3770994. Click ‘Create A New Virtual Machine’. Let ‘Typical’ be selected by default. Click ‘Next’. In the next screen select ‘I will install the operating system later’. Click ‘Next’. Observe the list of supported guest operating system in the next screen. 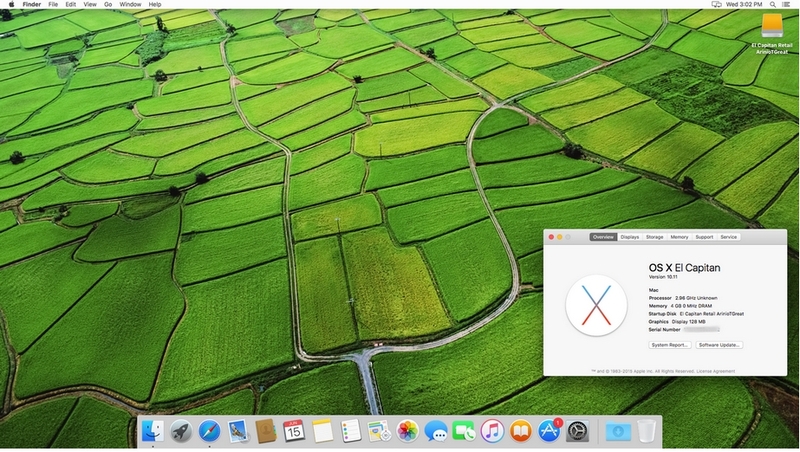 NO SUPPORT FOR MAC OS X. IT IS NOT LISTED IN THE LIST OF GUEST OPERATING SYSTEM. Close VMware Workstation Pro 12.1.1 Build 3770994. Now Click ‘Ctrl+Shift+Esc’ on your keyboard to open Windows task Manager. Install WinRAR. Copy the rarreg.key to C:\Program Files\WinRAR and paste it there for Licensed copy of WinRAR. Note: If you have pre-installed any version of WinRAR, it will do. Do not bother whether licensed or not. Inside the folder run win-install file as an Administrator. Done! Now VMware Workstation Pro 12.1.1 Build 3770994 is patched to accept MAC OS X as guest operating system. Double click VMware Workstation Pro 12.1.1 Build 3770994 to open it. Click ‘Create A New Virtual Machine’. In the next screen select ‘I will install the operating system later’. In the list of Guest Operating System now you will find ‘Apple Mac OS X’. Select it. In the ‘Version’ field select 10.11. Click ‘Next’. In the next screen type the virtual machine name. For example, you can give a name like MAC OS X 10.11 – El Capitan. However, this is up to you what name you want to give. Now browse to select a suitable location for the Virtual Machines RAM file. Say, for example if you are ready to allocate 4-8 GB in your D:/ drive you can type D:/MAC OS X RAM DISK. So in this case under your D:/ drive a new folder namely MAC OS X RAM DISK will be created and some files will be automatically created over there. Click ‘Next’ and select ‘Customize Hardware’. Hardware Customization window will appear. USB Controller>USB Compatibility [Your MOTHERBOARD…YOU KNOW BETTER]. However better to choose 2.0 if not known to you. Exit VMware Workstation Pro 12.1.1 Build 3770994. Go to D:/MAC OS X RAM DISK folder and open it. Select ‘More apps’ and then browse to open this file with Notepad. Assuming you are ready to spend at-least 25 GB in your D:/ drive create a folder in D:/ Drive, say D:/MAC OS X HARD DISK. Copy the downloaded OS X 10.11 El Capitan Retail (VMWare virtual disk file with .vmdk extension – 9.64 GB size) to the folder D:/MAC OS X HARD DISK. DO NOT WORK WITH THE DOWNLOADED COPY OF OS X 10.11 El Capitan Retail 9.64 GB FILE. TAKE A COPY OF THIS 9.64 GB FILE AND PUT IT to the DESIRED LOCATION YOU WANT, SAY D:/ DRIVE, E:/ DRIVE etc. THE OS INSTALLATION WILL MODIFY THIS ORIGINAL FILE, SO WORK WITH A COPY. ALSO WHERE YOU PUT THIS COPY MUST HAVE AT LEAST 25 GB SPACE. Click ‘Edit Virtual Machine Settings’. Select Hard Disk (SATA) 40 GB and REMOVE it. Click ‘Next’ and select ‘SATA’. Select ‘Next’ and select ‘Use an existing virtual disk’. Click ‘Next’ and then browse to D:/MAC OS X HARD DISK and select the OS X 10.11 El Capitan Retail (VMWare virtual disk file with .vmdk extension – 9.64 GB size). Select ‘Keep Existing Format’. [DO NOT SELECT ‘CONVERT’>. If VMware Workstation Pro 12.1.1 Build 3770994 is already opened just click ‘Power on this virtual machine’. Wait patiently and watch the famous ‘MAC APPLE’ logo. In the next screen let ‘Don’t transfer any information now’ be pre-selected. Click ‘Continue’. In the next screen you may or may not select ‘Enable location service on this Mac’. Click ‘Continue’. In the next screen select ‘Don’t sign in’. Click ‘Continue’. In the new screen type your ‘Full Name’, ‘Account Name’, ‘MAC OS X Login Password’. This is up to you what name, password, password hint you will choose. You can also change the Login Picture’. Untick both the options for ‘Diagnostics & Usage’. Wait few seconds and you are logged into MAC OS X Desktop. However, there is just one step left. The final step. In the Upper Left Corner of VMware Workstation Pro 12.1.1 Build 3770994, you will find a menu button namely ‘VM’. Click this. Go to Removable Devices>CD/DVD (SATA)>Settings. Select ‘ISO Image File’ and browse to select the Darwin.iso file which you have downloaded along with the VMWare virtual disk file. Now MAC OS X will show a window. There, double-click ‘Install VMWare Tools’. Put the login password and click ‘Install Software’. After MAC OS X Boots just right-click the VMWare Tools folder over desktop and eject it. Now click ‘Enter the full screen mode’ of your VMware Workstation Pro 12. AFTER ENTERING IN FULL SCREEN MODE YOU CAN SEE THE FAMOUS DOCK BAR OF MAC OS X. Now click the ‘Hide command bar’ pin button of your VMware Workstation Pro 12. Enjoy your MAC OS X EL CAPITAN!!! 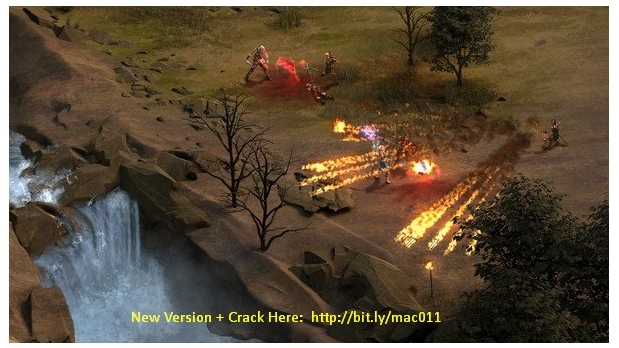 P.S: YOU CAN RIGHT CLICK THE APPLE SIGN AT the UPPER-LEFT AND SELECT ‘ABOUT THIS MAC’. YOU WILL OBSERVE THE VERSION AS 10.11. IF YOU WISH, YOU CAN SELECT THE BUTTON ‘SOFTWARE UPDATE.’ AND UPDATE ALL SOFTWARES AND MAC OS X OR ONLY JUST MAC OS X FROM 10.11 TO 10.11.5 (1.53 GB) [LASEST AS ON JUNE 2016]. READ SUPPLIED BOOKS TO CUSTOMIZE SETTINGS. WE HAVE INCLUDED FEW BEST (TOTAL 75) APPLICATIONS IN THE APPLICATION FOLDER WITH BRIEF DESCRIPTION OF THE CORRESPONDING APPLICATION.